Aventuras Patagonicas is a culmination of many years of Mountain Guiding experience in the Andes, the Alps, Antarctica, and Alaska and the desire to provide a mountain guiding service with superb standards in a competitive field. We bring genuine experience to Aconcagua, unequaled by any other guiding company in the world. Our company is very proud to be guiding in spectacular places such as Alaska, Antarctica, Europe, Patagonia, South America, Africa, Indonesia and all over the world. 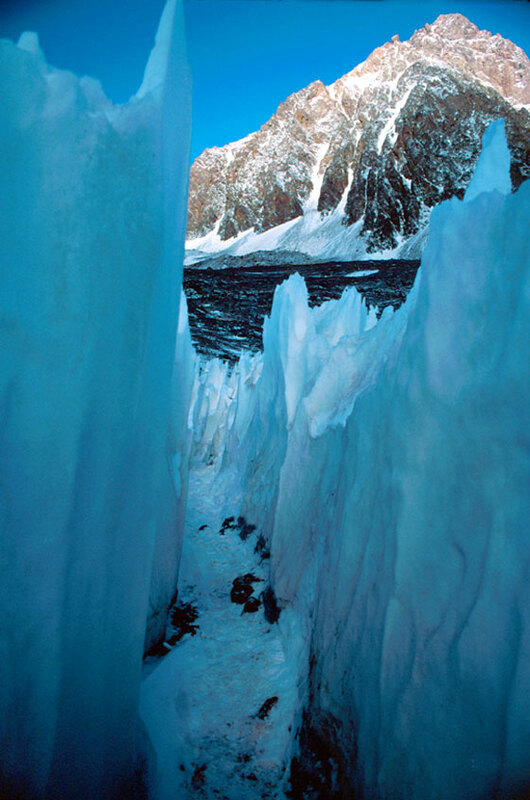 We have guided over 200 Aconcagua Expeditions in the last two decades, and hundreds of expeditions worldwide. We have an impeccable safety record and a very high success rate. The guides working for Aventuras Patagonicas are very carefully chosen for their dedication to the guiding profession and have extensive international guiding experience. Our lead guides are predominantly North American and Certified Mountain Guides. We also employ experienced North American guides and sometimes exceptionally well trained local guides, as assistants on our expeditions. Aventuras Patagonicas is a small and dynamic guiding company. A combination of very high guiding standards,unique regional knowledge, and special attention to small details, prepare us to offer you a remarkable and safe experience. With Aventuras Patagonicas you ll have one of the best possible chances of summiting Aconcagua, combined with one of the most genuine experiences of the region available. We wish to remain small in order to provide you with the absolute highest quality and most personalized mountain guiding service available on Aconcagua. As Chief Guide and founder of Aventuras Patagonicas, I have personally guided 28 Aconcagua Expeditions, summiting on 24 of these expeditions, and getting most, if not all, of my clients to the summit on each of these expeditions. I have also guided 22 Denali (Mt McKinley) Expeditions, summiting on 19 of those expeditions, again getting most of my clients to the summit. All together I have guided over 88 high altitude climbing expeditions all over the world. One of the main reasons for our high success rate has been due to excellent leadership, careful logistics, consistent acclimatization methods, experience on the mountain, and timing with the weather. We also attribute our success to our terrific clientele; people that have taken the expedition seriously from the moment they sign up, preparing physically and mentally, before and during the trip, having a positive attitude, proper fitness, and plenty of determination. I have been guiding Aconcagua Expeditions since the early 80’s when few guided on Aconcagua, and there was only one other American guiding company. I truly feel that Aventuras Patagonicas is uniquely qualified to offer Aconcagua Expeditions. Growing up 150 miles from this Andean giant, I spent my youth and early mountaineering career climbing throughout the Andes, exposed to high altitude guiding before I was 20 years old. Then I traveled to Europe to explore my career as a mountain guide in the French Alps, studying guiding as a profession. In the mid 80’s through the 90’s I dedicated myself to guiding on Denali (Mt McKinley), living in Alaska, and returning to the Andes to guide in winter. At present I am dedicated to our busy South American climbing season in the Southern Hemisphere summer and guiding in the Alps, the Tetons and worldwide in the Northern Hemisphere summer climbing season. I urge you to check our references, particularly today when there are so many new guiding companies out there. We have the most Aconcagua experience out there. Call the American Mountain Guides Association (303) 271-0984, the finest organization in the country dedicated to high standards in Mountain Guiding, and an excellent source of information. Ask them about who specializes in Aconcagua, and the Andes, and who they would recommend. We have attached a list of previous Aventuras Patagonicas Clients addresses and phone numbers for references. We have also printed addresses for references on the back of our introduction letter. Take this aspect of choosing the guiding company you will climb with seriously. The success and quality of your Aconcagua expedition experience depends upon your choice of guiding companies.